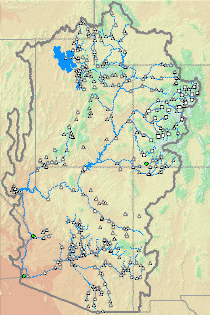 On the west central border of Wyoming, south of the Tetons, are the Salt Creek and Wyoming mountain ranges. 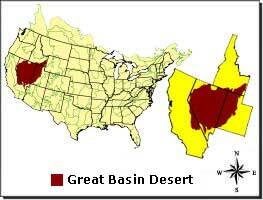 Between these two ranges is the Tri Basin divide forming the apex of the Colorado River, Great Basin, and Columbia River watersheds. 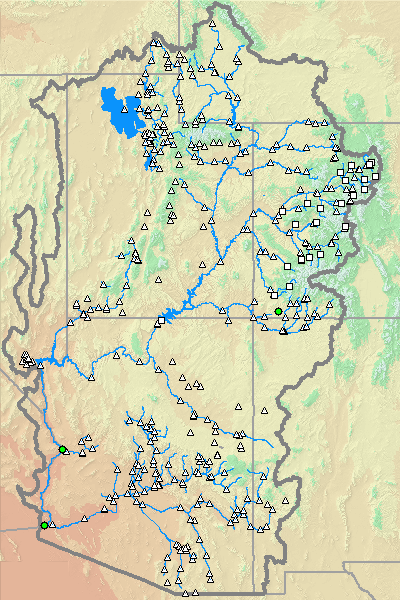 The start of the Columbia River watershed. The start of the Great Basin watershed from the apex. The Colorado River watershed from the apex.